Fans of Margo Guryan will soon have two new releases to add to their treasured Margo collections. 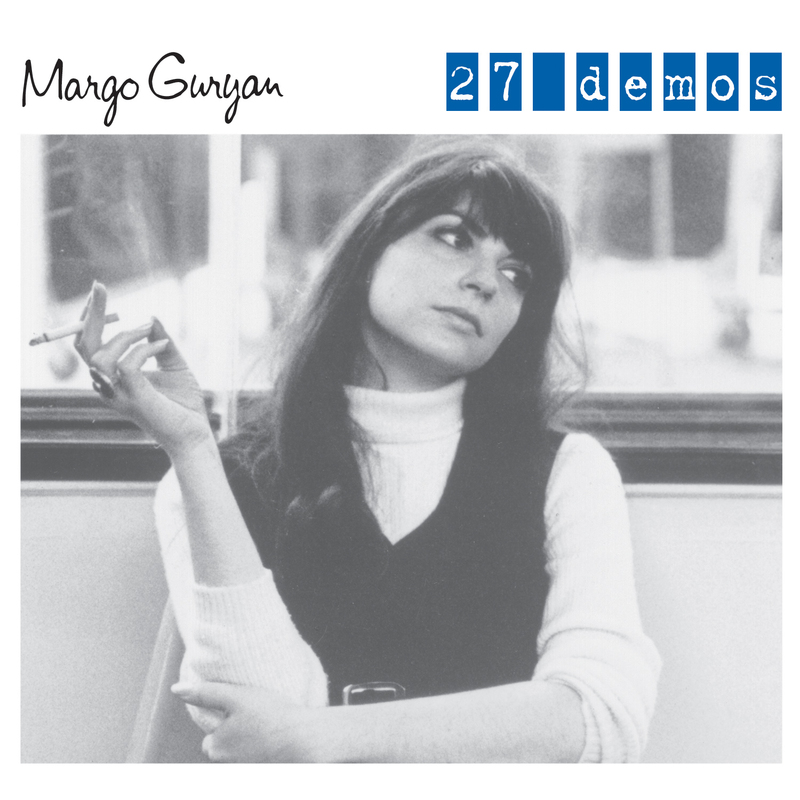 On April 29, 2014 Oglio Records will release on CD and Burger Records will release on audio cassette Margo Guryan's "27 Demos." Inspired by Oglio's 2001 release of "25 Demos," this new release is lovingly remastered by Bernie & Dale Becker under the guidance of David Rosner. In addition to the audio refresher, two new tracks "Why Do I Cry" and "Under My Umbrella" are added to the album necessitating the name change. "27 Demos" will also replace the outgoing "25 Demos" on digital download and streaming services worldwide. Margo Guryan grew up in the suburbs of New York City and took piano lessons from the age of six. At Boston University she fell in love with jazz and in her junior year switched her major from piano to composition. She was primarily a jazz songwriter; her first recorded song was "Moon Ride", performed by Chris Connor on Atlantic Records. One day a friend, the jazz pianist and composer Dave Frishberg, urged her to listen to the song "God Only Knows" from the album Pet Sounds by The Beach Boys. Margo loved it and was moved to try her hand at writing in this vein. Subsequently, her songs were recorded by Spanky And Our Gang, Bobbie Gentry and Glen Campbell, Cass Elliot and Jackie DeShannon, among others, plus famously unreleased recordings by Harry Nilsson and Dion. In 1968, Bell Records released her album Take A Picture, full of rock and jazz-tinged pop melodies. Due to Guryan's refusal to perform, the album was under-promoted and failed to make an impact. Guryan continued to write, produce other artists (with her husband, David Rosner) and once again studied classical piano, eventually becoming a teacher. Take A Picture was reissued in 2000 in Japan, the U.S. and Europe. A collection of demos entitled 25 Demos has also been made available. This was followed in 2009 by a box-set retrospective released South Korea. A video was produced for Margo's song "16 Words" which generated many `hits' and comments on YouTube plus a 2007 enhanced-CD release in the U.K. on Pure Mint Records. In the late '90s "The Chopsticks Variations", a piano composition, was published, and a recording was made available in 2009 on Oglio Records. For additional information, contact Oglio Records at (310) 791-8600.